Stone approx. 10cm (3.9") x 7.5cm (2.9") x 4cm (1.5") with 10cm (3.9") hanging cord. 5 Easy steps to smooth feet using a pumice stone. 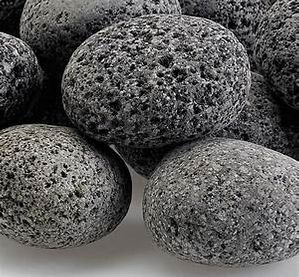 A pumice stone can be used on your feet to keep them beautiful and smooth. Everyone wants soft smooth feet but because of our busy routines, it can be difficult to find the time to take care of them. With the few steps below you can use a pumice stone on your feet to keep them soft and attractive without spending a lot of money or time. Daily walking and activity can have significant damage on our feet so many people have developed calluses and corns. This results in rough and unattractive feet. Rough and dry skin occurs when the nerves in your legs and feet don’t get the message to keep the skin soft and moist. Apart from just the unattractiveness, cracked feet can serve as a site of entry for various pathogens and can result in infections. Instead of ignoring your ugly feet you can use a pumice stone on your feet to get the real smoothness you are looking for. Fill a small tub with lukewarm water and mix any soap and essential oils you want in it. For some extra softening you can add a few drops of baby oil to the water. Soak your feet in the prepared water for about 5-10 minutes or more depending on the condition of your feet. This process helps your skin to soften, making the removal of dry skin or calluses easier. Now you want to wet the pumice stone by dipping it in the soapy water and begin rubbing it on the rough calloused areas of your feet. Make sure to do this gently in a circular motion for a few minutes so you don’t cause injury to your feet.. You may need to repeat the process, rinsing the pumice in between steps. This will take a few minutes, especially on the really calloused areas. Now you want to rinse your feet with clean warm water to remove all remaining dead skin and then gently pat dry using a clean towel. As the freshly pumiced skin may be sensitive you want to avoid rubbing them harshly. Once you are done with the washing and drying process it is now time to put some lotion on your feet to moisturize them. You can even massage a moisturizer containing vitamin E oil into your feet. This will help in returning the moisture to the just-treated areas. This will rehydrate you skin. You can put on socks after applying the moisturizer. We recommend using O’Keeffe’s for Healthy Feet Foot Cream, 3.2 oz, Jar to moisturize your feet. Step 5: Wash the Pumice Stone: Thoroughly rinse the pumice stone and shake off extra water. This will ensure it will be ready for the next time you need to use it. And now... you have Happy Feet... of course! Pumice stone can be used wherever you have dry and caloused skin!